Finally our D-litter is here! It all started at 3:30 am the 21st of September. 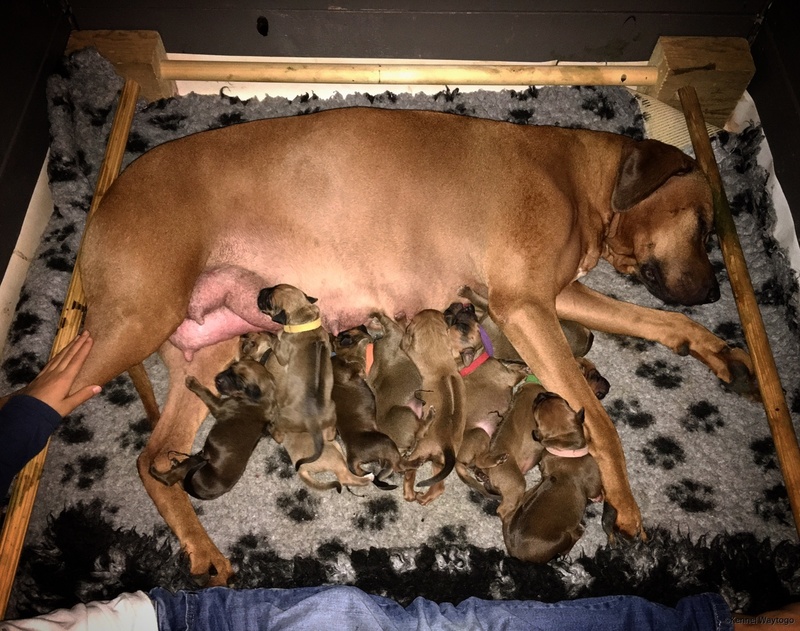 Telma gave birth to 11 puppies, 6 males and 5 females, all with correct ridge's and one with a small kinked tail. The last three puppies was born by cesarean. Unfortunately one perfect little girl was stil born and later on we found one DS at another little girl. So far we have 9 puppies left and they all are doing well, as well as mommy Telma. We still have both males and females available, inquires are welcome to contact us!